TimeOut Paris Eating & Drinking Guide Edition 8 recommended Le Clos des Gourmets for its warm welcome, excellent value and inventive menu. Sounded good to us, so we decided to head over for dinner one weekday night. The voice on the answering machine says they don't accept reservation, but they do, as husband found out the when he tried a second time; it really is a good idea to make an advance booking as the place was filled with customer on the night we visited. I quite liked the interior of the restaurant because the tables are not as tightly squeezed together as some places can get. The lighting is also warm and flattering so one can relax, yet gratifyingly, it was also bright enough for food photography. The dinner menu was Euro 35, i.e. extras like foie gras and lobsters obviously comes with 'supplemental charges'. We adhered to the basic offerings which were already quite diverse. 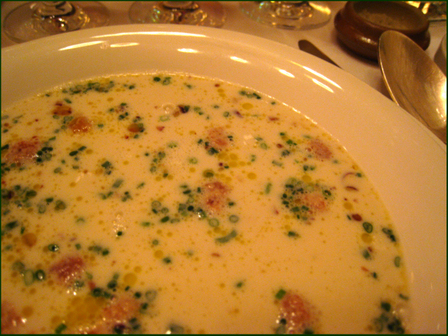 My starter of cauliflower veloute was served in the typical fashion of the day- the bowl decorated with slices of smoked herring and crouton bits first placed on the table with a flourish, then the milky frothy soup poured into the bowl from a milk-bottle sized flask (held enough for nearly two bowls of soup). Lovely soup actually, light yet flavourful with the intermittent boost in taste and texture from the smoked fish and croutons. My gripe was that it was served with a table spoon, a tendency I've noticed in other places, why is that? Is it hard to provide a soup spoon for soup, how is it possible to eat anything with such a large spoon? I had to use husband's spoon which was smaller, being meant for scooping into a wide drinking glass which held his starter- layers of braised puy lentils, a poached egg and something frothy. 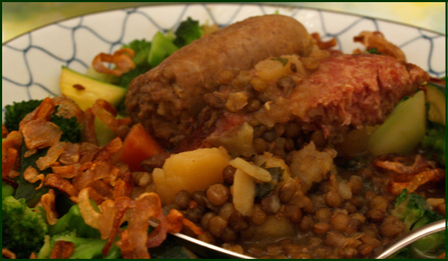 The hearty lentils were just the thing to line his very hungry stomach. My next course was described clearly as 'pig's head'. Oh, how could I resist thee? The deconstructed head came with lots of tender roasted meaty parts with crackly bits, and perched precariously on one side of the little pile, a side of the piggy's gelatin-cartilaginous ear. 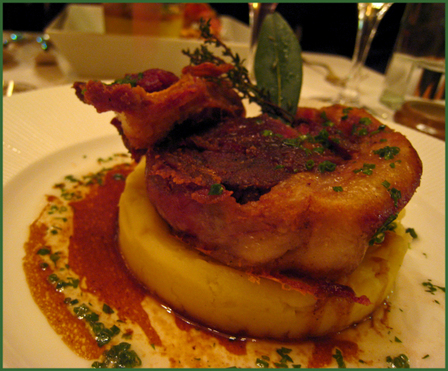 Served on a bed of mashed potato that is thankfully not too mushy. 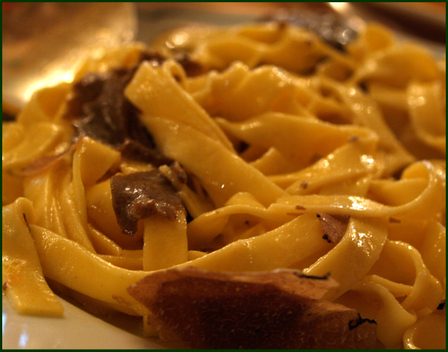 A rustic dish distilled to its most essential edible components, and not in the least gory-looking. 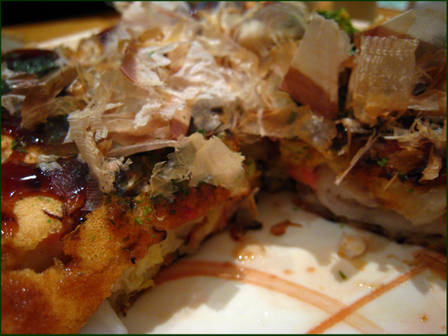 It was all incredibly tasty, and I would return just for this dish anytime. Husband's main course was prawn risotto. Yawn. He is missing the huge prawns we were so used to back home, the poor thing. 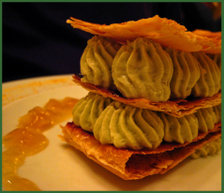 Like the rest of the menu, the dessert items included innovative offerings such as avocado millefeuille which TimeOur described as 'sublime' so of course we had to try it. The pastry was shatteringly crisp but I was not too enthusiastic about the avocado filling- it was too buttery and not quite sweet or fragrant enough; its inherently bland flavours did not help, the whole confection needed to be eaten with the marmalady sauce that it was served with. My dessert on the other hand, was composed of caramelised fennel, basil leaves and citrus sorbet. The basil and citrus sorbet was not as interesting as I thought it would be, basil in winter seems unnecessarily sharp or maybe that was the quality magnified by the acerbic sorbet, in any case I didn't like it. But I loved the fennel, well I may be a bit biased considering how I like fennel in all its form and have been on a fennel binge these past weeks, here it was cooked to a soft vanilla-ey candylike state yet retained its mildly aniseed taste. It worked so much better with the avocado millefeuille than the orange marmalade sauce, so we shared our desserts in this fashion. 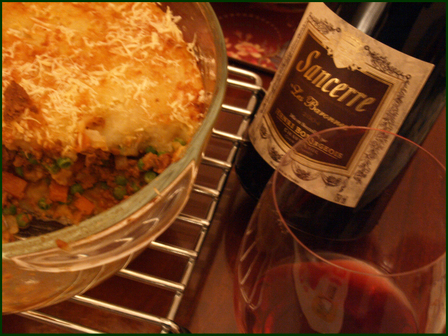 We left the place replete and happy, full of good food and a better part of a bottle of burgundy. Afters, there was a stroll towards the Eiffel Tower and a long circuitous walk around the quiet and tidy streets of this 7th arrondisement neighbourhood. you'll have to make the yee sang yourself. 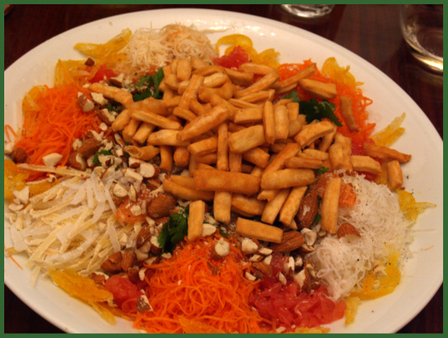 The thing I miss most about not celebrating Chinese New Year with my large extended family in KL, other than the catching up with cousins and friends of course, is the ritual of eating yee sang. 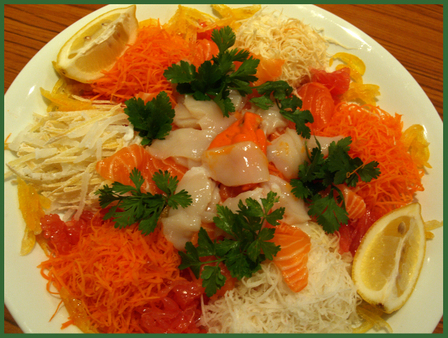 I miss all the festive foods of course, but none hold that special place in my tummy like yee sang does, it is probably a family gene, I know my mum loves it as much as I do and we never get bored of eating it every chance we get. The crunchy multicoloured vegetables made more appetising with plummy-sweet and sour dressing, the raucous crying out of good wishes as we add the fish, the seasonings and the scattering of pok chui crackers, and the finale of tossing the whole pile of good things as high as possible, even before the eating everyone's in a happy mood. The idea of actually making this dish came when husband informed me that he had invited his two colleagues and their families to a CNY dinner at our place. I knew we were not going to be able to find most of the ingredients but decided to go ahead anyway, making plenty of local substitutions along the way. Heck I don't even know half of what goes into the yee sangs back home but it wasn't going to stop me. Two weekends before we went to the 13th arrondisement and bought plum sauce, candied melons and candied ginger; we resisted buying sesame seeds because there was no way we'll finish the bag before it oxidised. From our excellent President Wilson market I sourced some beautiful preserved kumquats, unusual and very good-tasting radishes (two types, both delicious even eaten raw and undressed) and carrots from the Joel Thiebault stand, a substantial chunk of salmon and of course the glorious live scallops with their incredible orange livers. Grapefruits made a nice stand in for pomelo, and some coriandre for a shot of green to accentuate the vibrant citrusy-rouge colours. Husband was impressed when we brought out the platter. GG had made some 'pok chui'- like crackers by frying up cut up and seasoned dough of flour and eggs and to our surprise it was as crunchy and tasty as the real thing though we did hope it wasn't so thick. Instead of groundnuts which I couldn't really find good specimens of, we added chopped roasted almonds. Everything came together beautifully and put everyone at ease. 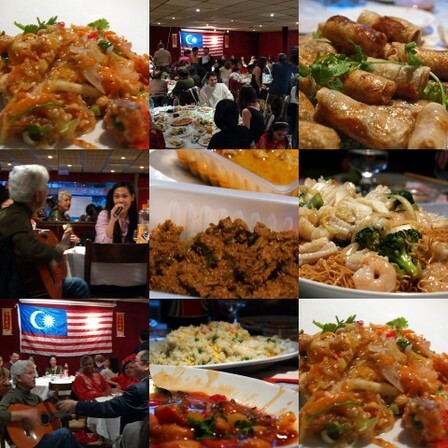 We kept the rest of the menu simple with home made dishes for the homesick ones among us. 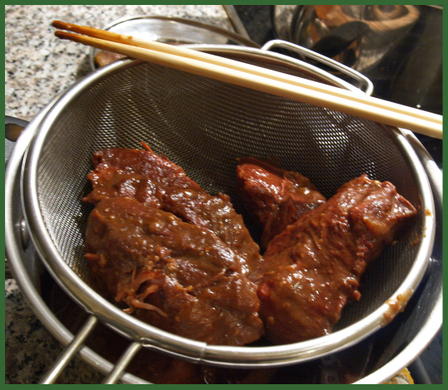 The babi sioh was marinaded for a day, then cooked the day before the dinner to allow the flavours to develop. 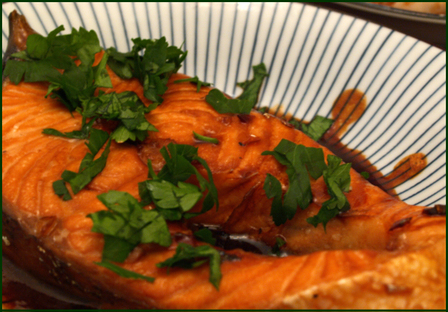 The sauce was a tad too salty because we used miso instead of taucheo sauce, but it went very well with plain rice and even better with the vegetarian fried beehoon. 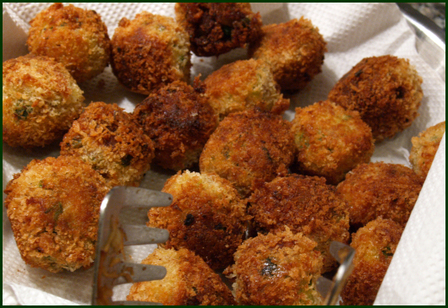 Tuna balls for the little ones, and for me to pack for snacks after school the next day- we omitted the green chillies and curry leaves and substituted coriander instead. There was also the obligatory pot of chicken curry made with the pre-fried rempah that Chan-Che cooked up for us on our last trip home last December. 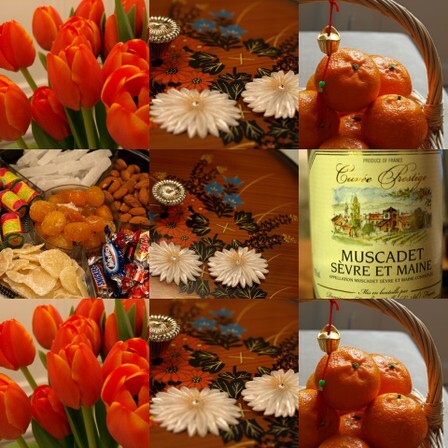 And in case people were still hungry, there was also macarons and baklavas for dessert. But my favourite was still the yee sang. I have French classes every day from 2-4 pm. Perfect really, because I can either plan to have lunch at home, near my metro station or near the university's metro stations. One day I decided to exit at Cardinal Lemoine station instead of the usual Cluny la Sorbonne, alright I was not looking forward to climbing that steep incline along rue St Jacques and on the map it looked like there is an alternative parth via the other side of the building. 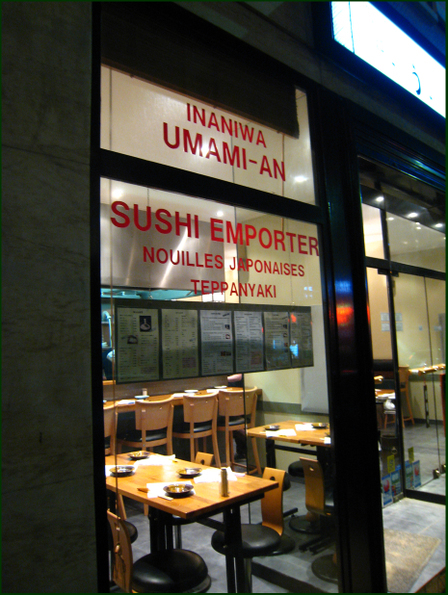 Which turned out to be very fortuitous decision, as not only did I discover that rue Mouffetard, which daschie had recommended to me, lies along the route, I passed by a cozy Korean restaurant. Update 5 March 2007: They've changed the name of the restaurant to Milal. The young proprietress also informs me that there is a new spring menu out. Inside I glimpsed a middle-aged Korean woman reading a book in the corner, and a younger woman in a neat apron serving customers. The menu is kept simple, just the usual grilled meats, bibimbap, dumplings and soups; prices are affordable enough for this student neighbourhood. 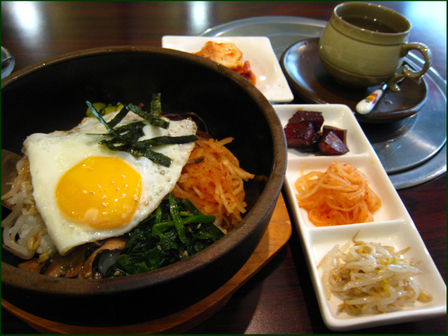 The food was also homely and tasty, bibimbap came with not too much rice without my needing to request so, and a nice assortment of vegetables. 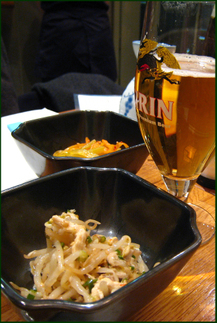 Kimchi is served to those who like it, the polite and helpful young woman checked with me first. I like that among the panchan or small dishes, they include braised potato instead of the lazyman reconstituted mashed potato salad. Together with some hot citron tea, it made a very fine lunch and I was then well-stoked to brave the cold winds outside. I've been here a whole month but have felt no inclination to step into a Laduree or Pierre Herme. On the contrary I've been craving more down-to-earth comfort food like puddings and tarts, the unconscious conditioning perhaps from spending winters long-ago in UK where these desserts are more commonplace. A good thing then that we knew just the place to find such things in Paris. Because husband brought me here our honeymoon. 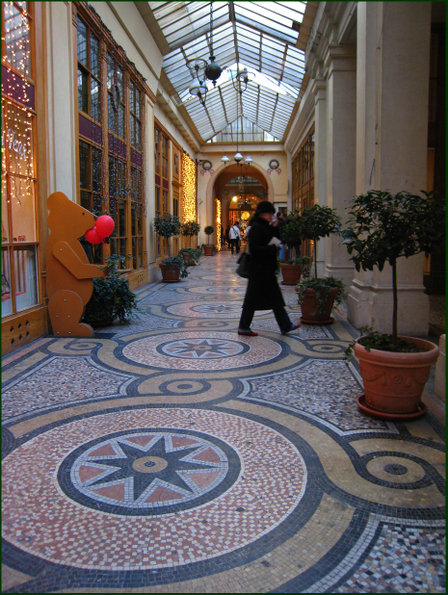 A Priori The is located in a very old building of Galerie Vivienne, where the passageway's charming cobbled stones and beautiful mosaic flooring helps to detract from its mostly high end lifestyle shops. The teashop is can be found in one of its wings, and is smaller than I remembered, but the first time we had come early on a weekday morning, and this time we arrived in peak teatime slot of 4pm on a Saturday afternoon. Fortunately the tables turn over very fast and we were able to sit ourselves inside and get warm. The owner is an American lady and she was, like our first time, sitting in a corner doing her paperwork and keeping a benign eye on everything. Before sitting down, I went over to the cake table to choose my 'cake' as my English friends would say. There are cheesecakes, muffins, brownies, muffins and most tempting of all, a red fruit crumble, the last item fitted my cravings precisely. 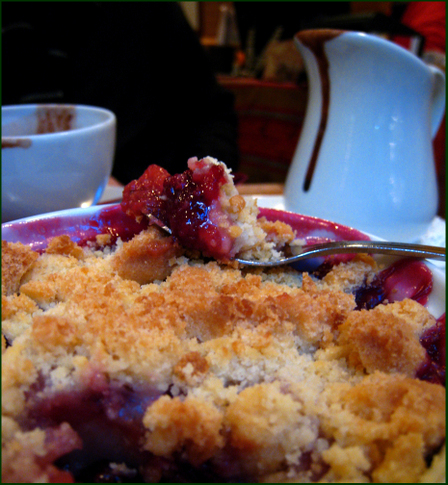 It would be perfect if they had rhubarb crumble, but red fruit was okay too. It arrived in its own little deep dish, the crunchy crumble fashionably thin and just enough to protect the beautifully coloured compote inside. A lovely midafternoon treat, not too sweet, or too too rich, just right. We finished the crumble, and the thick hot chocolate, and went on our way, memories revived. 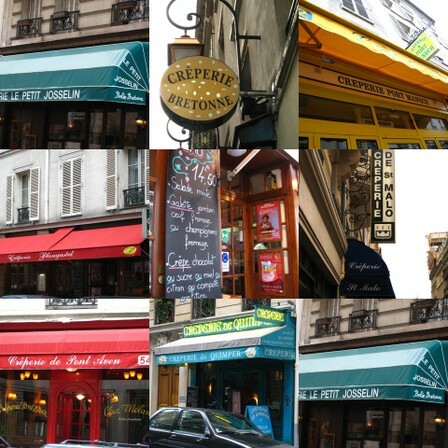 Creperie stands and restaurants are ubiquitous in this city. But the other day I came across an entire street populated mainly by creperies. It was CreperieTown. So I did what I usually do in these circumstances. I studied the menu carefully, peeped through the windows, observed the locals, and narrowed down my choices. 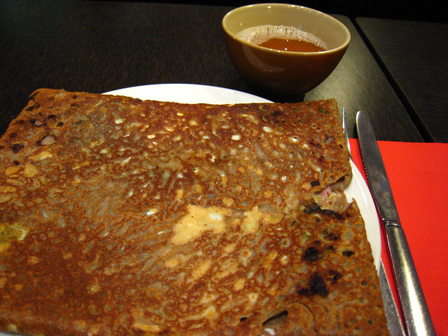 All offer galettes (buckwheat pancakes) for a savoury option and crepe made with a finer softer flour for desserts. Prices varied, the most basic beurre (butter) which costs 1 EUD at the market can be 2.70, 3.20 or in the case of the famous Josselin, a hefty 4.00. 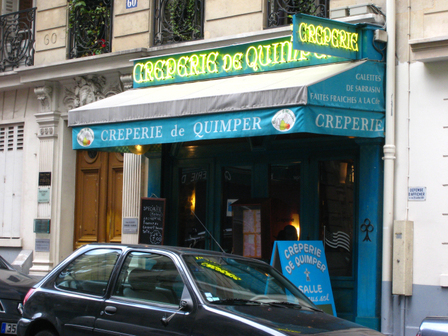 There are also packages or fixed priced options, but I finally settled on Creperie de Quimper. 1. It seemed more modest than the rest. Small space, two men, one older, one younger, working in companiable silence over a cramped but neat counter. A smiling woman was walking around tidying here and there. They look like a family. It was also empty (subsequent visits found them very busy). And there isn't much of magazine articles obscuring the front door which had a pretty wrought iron handle in a fish design. 2. Instead of the usual crepes with jams and chocolates that others were advertising, this place was luring me with promise of caramel beurre sale. I love caramel more than chcocolate, so I was immediately sold. The Florentine galette I ordered was cooked patiently by the older of the two silent cooks. He took his time to get the edges crisp, lacey and yet not dried out. Unfortunately the filling of spinach, ham and eggs were quite ordinary, the spinach especially looked yellow and came from a can, I saw the young man doing all the prep work and it involved a lot of cans and sprinkles from bottles of dried herbs. 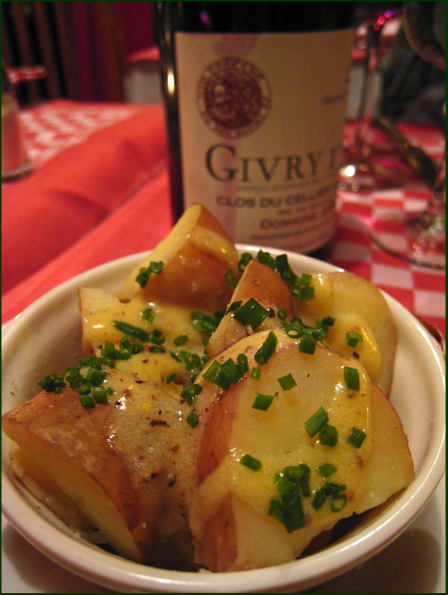 On a subsequent visit, much wiser, I ordered the basic beurre version and proves once again, going simple is the key. It should be the only way the galette is eaten. Cider is delicious and not expensive here, other customers don't even bother ordering the usual 'une carafe d'eau'. The savoury course over, I ordered the caramel crepe. I saw the cook cut a generous slab of butter and tucking it into the folded crepe. 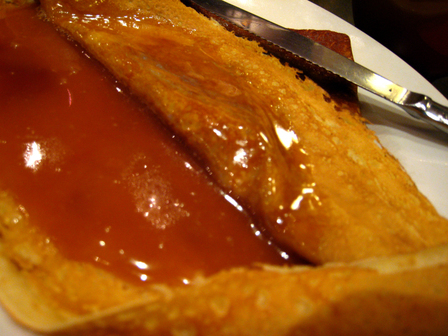 Then he dolloped a few generous spoons of thick sticky caramel from a container into my crepe. When he finished, he came out from behind the counter and presented it to me with a flourish and a smile. I flipped the edge over, and was greeted with this oozy, gorgeous deep brown caramel. I was in heaven, the sweet salty rich lava melting into the tender crepes, if I were at home I would have picked the plate up and licked it clean. Just to check that it wasn't just my biased opinion, I brought husband, GG and V to the same place for lunch over the weekend. It was a hit with them too. And they were very nice to V. The young cook even made a little piece just for her, with a little slick of butter and a sprinkle of sugar. They love her, we love them too! One of the first things we did was to go to a Chinese grocery and stock up on rice, noodles, sauces, snacks and all the things we don't think we can live without. There is a rice worm living in the deep recesses of our gullets, if we go without rice for more than 2-3 days it makes us feel funny and we have to have a fix. We also have to eat our share of congee and soupy dishes. True, one can easily get a bowl of restorative pho here, but a simple clear soup noodle with stock made from chicken and maybe some dried scallops, this we have to fix ourselves. 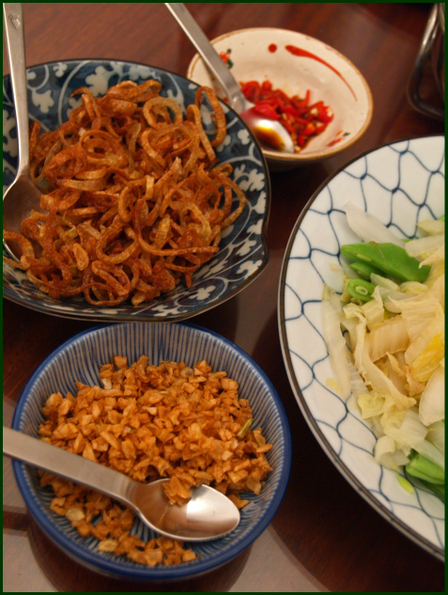 We still cook a lot of Chinese food at home, also curries and Japanese-style dishes, just as we did when we lived in Singapore. But some things have changed. Casseroles, stews, braised dishes, pastas- all these would be very heavy and some are too tedious to cook back home in humid SEA. Well, it is the opposite here. 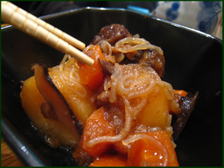 Almost every week we are making a new variation of a long-cooked dish like boeuf bourguignonne, pork stew, mixed sausage casseroles etc, combining with the vegetables of the season like radishes, potatoes, carrots, mushrooms as well as lentils and various beans harmoniously in a heavy bottomed pot. 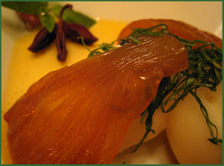 Then there is the dessert counterparts, like cooking apples simmered with candied kumquats and raisins until syruppy, like apple pie without the guilty-inducing pastry, all the better to justify dolloping the creme fraiche on. The cocottes get a workout almost every other day. Better yet, some of the dishes freeze and keeps well, so there is enough for husband's lunches, impromptu sandwiches etc. The dogs eat differently too. They get a lot of turkey and rabbit which is cheap now. I am impressed at how deliciously mild and sweet is the liver of a rabbit. They also get chicken of course, but not lamb or mutton anymore, too expensive. The other day GG and I accidentally ate horse. 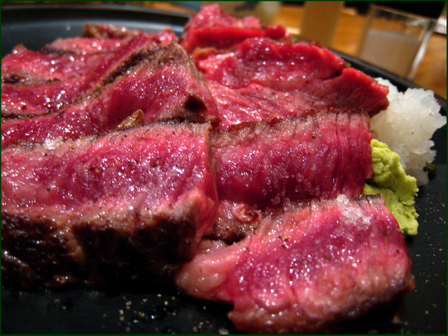 We were at a cafe and I ordered a hamburger, not noticing until too late that it was actually 'hamburger a cheval' and then remembering husband telling me that there is a famous wine called Cheval Blanc which means white horse.....It is a deep red meat, cooked till charred outside. Tastes bland, just of chewy meat, not something I will want to eat again. Also, our consumption of bread has gone up. At first it was a hearty loaf almost every day, then it slowed down to a large loaf over a week interspersed with the occasional baguette or the rarer croissant. We've had to find ways to finish up some of the bread before it goes rock hard. Toast, kiddy pizza base and breadcrumbs usually. 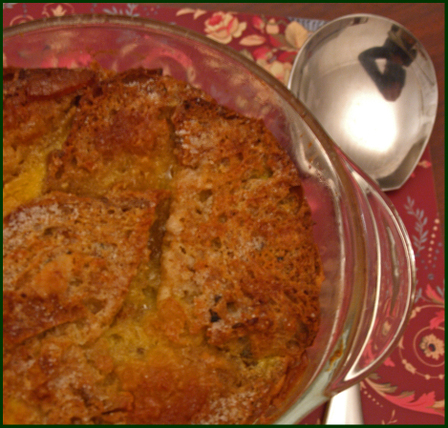 Also, bread and butter pudding was surprisingly easy to make even though I did not follow the online recipes exactly: buttered bread layered with marmalade (not traditional too but delicious I can assure) till the dish is full, then components of a custard-eggs, sugar, milk +/or cream, vanilla beans- poured into dish and baked in a bain-marie. Dairy products too. Fresh wholemilk has to be replenished all the time, it goes into our oatmeal porridge, into baked and steamed custards, into lattes, into baby's cereals, and so on. And yoghurt of course. 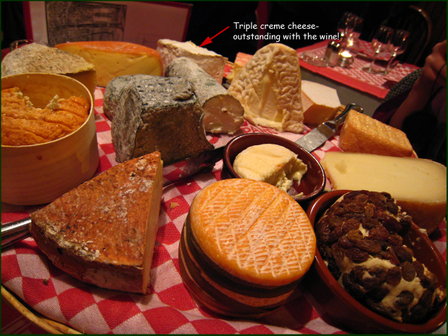 Not forgetting cheeses too- at the market there is a stall which lays out an ever-changing spread of samples, and I pick up at least two types each time, not even paying much attention to the names, just buying because we like the taste. They go into salads, into sandwiches or stirred into hot milk for a quick pasta sauce. The markets continue to fascinate us. Every visit we bring a new treat home. 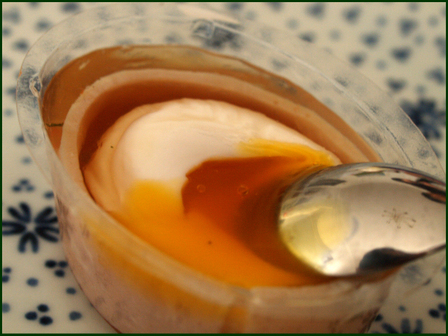 Like this oeuf en gelee, or eggs in aspic jelly. The egg is cooked and encased in a savoury gelatin wrapped with a bit of ham and a slice of tomato. The amazing part is that the yolk is still runny inside, good as we are all suckers for runny egg yolks in this household. More goodies from the market. 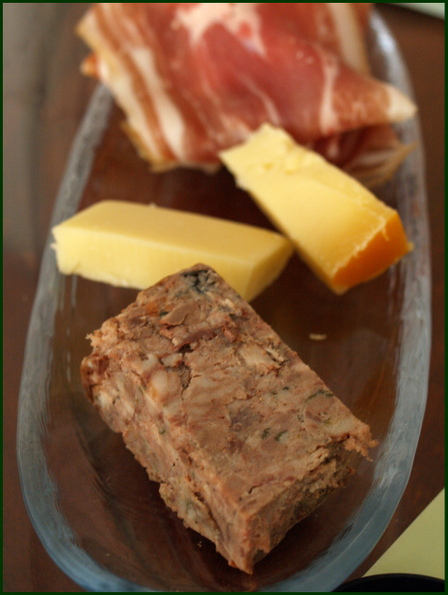 Pates and hams, usually made by the vendors themselves. Like cheese, I limit our purchase to one or two types per week. A little goes a long way. Every Saturday lunch is a picnic at home of cold cuts, fresh bread, cheese, salads and a little wine. 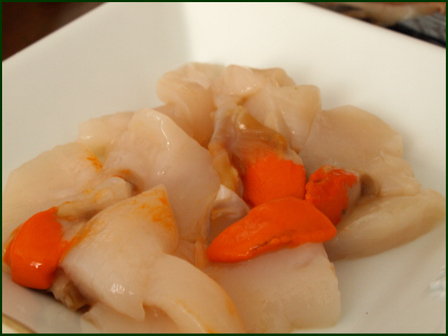 Finally, the best thing about the market nowadays is that fresh live scallops are coming into season. Not very big yet, but succulent enough. At first it was 20 EUD a kg, then 7.50 a kg, last Saturday one of the stalls was selling it at 3kg for 15 EUD! Needless to say it was sold out by noon, all 9 cases of it.I bought 10 pieces, which cost me 13.41 EUD, the equivalent of one measly scallop in a highend sushi restaurant in Singapore. We've had it sashimi-style, as in it was hacked inexpertly by me into bite size strips. 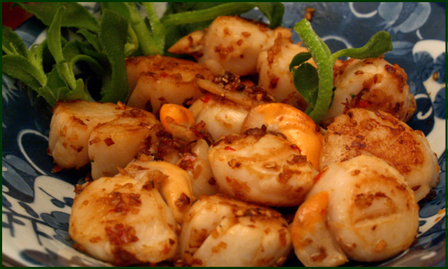 When we got sick of scallop sashimi, never imagining that I would ever say it, we then grilled these little jewels and found it was just as tasty.